Lenis Guess Production Is located Manhattan. It is the most culturally diverse section in New York City. 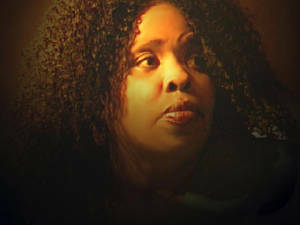 Lenis Guess born in Norfolk Virginia; Lenis Guess have lived in New York City for the past 25 years, He completed his first Rhythm and Blues Album entitled " I Can't Leave Your Love Alone, Working for my baby and also two gospel CD's entitled, " Thinking About Jesus" and" Spiritual Warfare." He has also produced a cable T.V. show called " Spirit Train, and five musical plays of Broadway. Lenis Guess Production has sustained itself with the artistic contributions of various masters Musicians an vocalist. It is imperative to give back and plant new seeds in media and entertainment. Our primary objective has been to resurrect those exponents who have been instrumental during the inception of this genre of music, called Rhythm and Blues and impart technical and historical food for thought to the students and recipients. In short we are a viable cultural organization with the purpose of helping adults and youths find positive vehicle of expressions through instrumental music and voice, song and dance. Lenis Guess Production is a media service enterprise of many talented individuals, from business brokers, that has combined their knowledge to give new artist and name talent direction and goals of achievement, as we move forward to supply vendors with there needs of quality Lenis Guess Production are individuals with visionary ideals in the Globally setting of this time. Efficiency and productivity, as we work to full the void in the media communication gap of artistic combing all efforts together in programming a flexibility relationship with multiple vendors. Our organization is not just a source of media, but a combination of humanity to mankind. Our sources will group together in fund raising to give by to society worldwide. Our program is designed to initiate and develop in our community to enhance the up lifting of our youth. This will give them the opportunity to express themselves through the vehicle of performing and developing through expression and enhance their educational goals. Lenis Guess was born Feb 27 1940 in Virginia, Owner of "Lenis Guess Production" self taught musician and vocalist. , He completed his first Rhythm and Blues Album entitled " I Can't Leave Your Love Alone, and also two gospel CD's entitled, " Thinking About Jesus" and" Spiritual Warfare." He has also produced a Cable T.V. show called " Spirit Train, and five musical plays on Broadway. Al Johnson; by the age of five; Lenis was singing harmony on the street corners with his friends. Songs made by popular groups such as the Moon Glows, Drifters, Flamingos, and Spaniels. Lenis at the age of seventeen joined a vocal group and was entering talent shows, Inspired by their winning; he decided to pursue a recording career. Lenis at the age of seventeen he wrote and recorded a record named " Crawling By The Blue Beards; He then met Mr. Frank Guida who wanted to sign Lenis to a long term contract, but at the time Lenis was still in school, so his career was put on hold. Lenis spent most of his time writing songs; during this period he met Kenneth Deal A recording Artist who love his songs and decided to introduce him to George Perkins a club owner; this was his break they all joined together; the name of the Record Company was D.P.G. Records; Where Deal Recorded a single named " What Have You Heard", B/W Clown Suit; Business took to the worse, when Kenneth was killed in a Car accident about a year later Lenis and Perking recorded another one of Lenis song " Thank Goodness" it became a local hit and started his career, Lenis has also song with Gary US Bonds and many historical figures.